Jim Leslie serves as a Managing Principal for Wolverine Interests. With nearly 40 years of experience in the real estate and financial markets, Mr. Leslie is recognized for successfully pairing creative real estate development with his intense understanding of capital markets. After completing his MBA at University of Michigan in 1979, Jim moved to Dallas and began his career at Coopers and Lybrand where he became a CPA and led an audit team. In 1982, Jim joined Roger Staubach as a founding member of The Staubach Company and served as their CFO where he designed, recapitalized, and launched the strategic plan of pioneering the tenant representation industry. 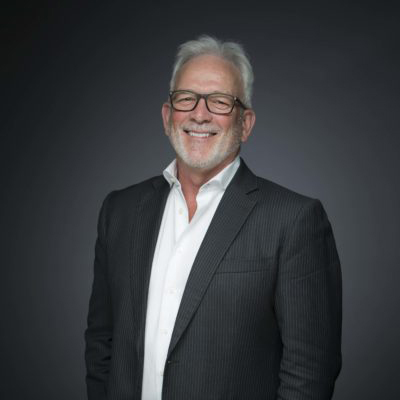 Jim quickly became President of TSC and grew the company from 5 people in one Dallas office to over 1,200 employees across 50 offices worldwide. In 1991, Jim formed the Financial Services Division of TSC and initiated over $3 billion of financing for clients around the world. These financing activities led to an expansion of the division’s capabilities to include acting as a principal in over $8 billion of sale-leaseback purchases that were primarily sold into the 1031 exchange market. Also during his time at TSC, Jim developed over 8,000 multifamily units and developed or purchased and sold tens of millions of square feet of commercial space. In 2001, Jim formed Wolverine Interests where he acts as managing principal in financing, development, and asset management of numerous multifamily, office, and large mixed-use projects with private/public partnerships. Some of Jim’s recent notable projects include Frisco Square – a 60 acre mixed-use development in Frisco, TX; Addison Circle – a 40 acre mixed-use development in Addison, TX; 1,200 multifamily units in Shops at Legacy in Plano, TX; and 2,000 multifamily units in the Uptown Dallas area. Within the last few years, Wolverine has acquired over 3 million square feet of office product along the Dallas North Tollway, George Bush Turnpike, and Las Colinas market. Mr. Leslie has served on or is currently serving as a board member for several public and private companies including Stratus Properties, Wyndham Hotels, Amresco Capital Trust, Sebring Capital, Cresa Partners, Columbus Realty Trust, Salvo, Team Mouse, Dougherty’s Holdings and others. Jim was the leader in taking some of these companies public such as Stratus and Wyndham, as well as forming REITS such as Columbus Realty. Jim grew up in Lincoln, NE where he received his BS in Mathematics and Actuarial Science from the University of Nebraska then achieved his MBA from the University of Michigan.